This class is designed for those who have taken our Level I Kayak Class, comparable kayak instruction or experience, and wish to continue learning better technique plus their all important safety skills that every kayaker should possess. It is taught in cockpit kayaks and includes instruction on strokes, maneuvers, braces, wet exits, and rescue skills...what to do when capsizing in water over your head. Kayaks, paddles, and pfd's are included. Students may use their own kayaks if they are properly outfitted. Cockpit kayak with front and rear flotation, paddle float, bilge bilge pump, paddle & pfd. 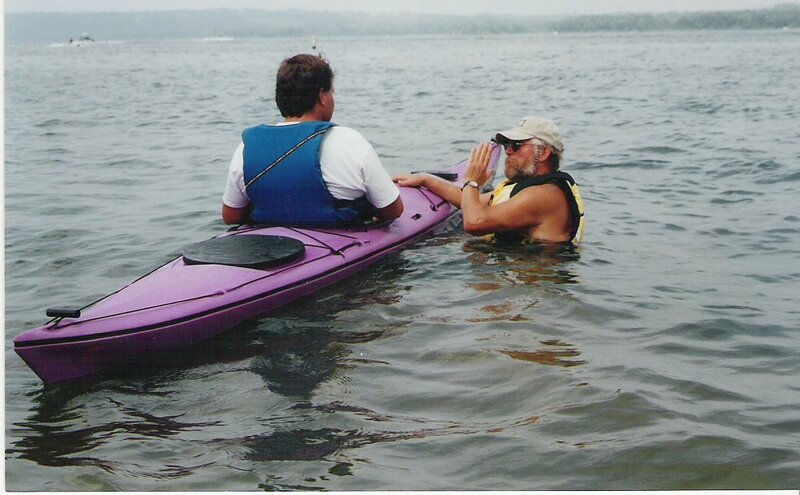 Must have completed our Level I Kayak Class or comparable instruction. Paddlers should wear water clothing that will get wet, water footwear or old sneakers, no flip flops. We recommend a hat with a brim, sunscreen, and a water bottle. Shank's Mare instructors have years of experience introducing and education participants in the sport of touring kayaking.